They have magnificent qualities, fitted wardrobes, laminated floors of light grey, armoured door, fitted kitchens, pre-installation of air conditioning. Building with elevator. Garage included in the price. Possibility to buy a garage in the same building. Ideal for 1st and 2nd residence or investment for rental. Villa with stunning sea views! Villa of new construction in the prestigious area of ​​Cerrado de Calderón, which has all the necessary services, from restaurants, hairdresser, pharmacy, banks, etc. without forgetting its educational offer, English School 5 minutes from us, lycee Francais or its famed Cerrado de Calderón School, also has a bus line, Taxi stop. and everything just ten minutes from the City Center of Malaga. Modern design, is currently in the construction phase, which guarantees that the customer can adapt it to their needs. The house has been designed by a prestigious architecture and interior design studio where it combines glass with straight lines. The house has 2 floors, on the main floor that has a large double-height living room open to the kitchen area, bedroom plus full bathroom en suite and a large closet and a separate toilet. The upper floor has been designed with large windows facing the rising sun with fantastic views of the sea and the mountains. It has a master bedroom plus a separate dressing room, a full bathroom, two master bedroom suites with built-in bathrooms and a comfortable fourth bedroom. iron and laundry. At street level we find a garage floor which is distributed in 4 parking spaces, storage room of 71.80 m2 and another area of ​​47.40 m2, either for a future gym, movie theater or bodeguita .. . The plot has 1028.47 m2, has a large garden, pool with sunbeds and a large covered porch, which thanks to the opening of its slides is integrated into the living room, forming a set of very cozy spaces. Call us to arrange a visit! Fantastic 1 bedroom penthouse with large terrace of 10 meters overlooking the city, next to the Atarazanas market, two minutes from Calle Larios. Brand new apartments in an enclave of great projection and development in Malaga. 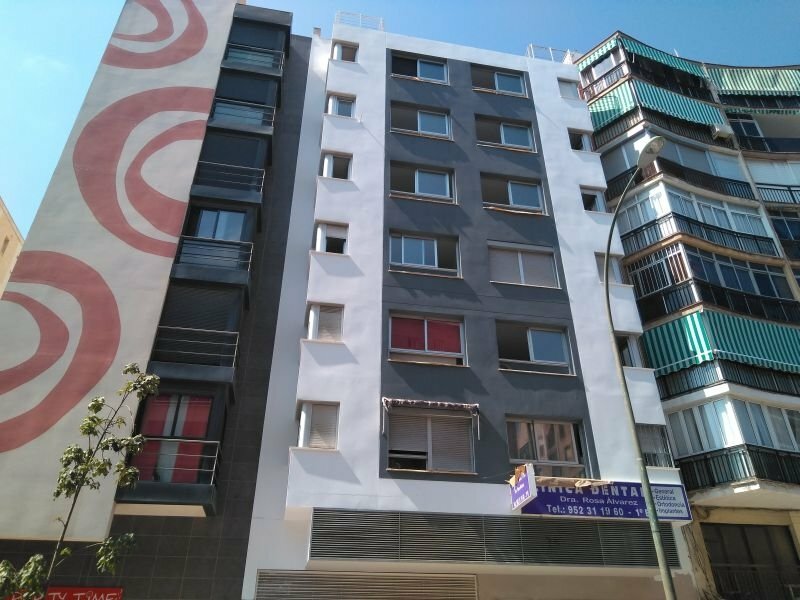 The building is located in front of the Soho district, next to the Atarazanas market, just 5 minutes walking from Larios street, Picasso museum, the cathedral and surrounded by all the services of living in a big city. The building consists of 1 commercial space, 5 apartments of 1/2 bedrooms and an exclusive Penthouse. All of them with excellent qualities, armoured door, floating floors, kitchens furnished with appliances and air conditioning hot /cold. Do not hesitate to call for further information! All of them with excellent qualities, armoured door, floating floors, furnished kitchens with appliances and hot/cold air conditioning. Do not hesitate and call for more information!